Our interns have been hard at work uncovering news stories about Rhode Island companies with plans to hire. Below are sevensuch announcements ripped from the headlines. Lighting Science Group, a company where their goal is to produce and distribute efficient light bulbs, is moving their office to Providence , Rhode Island, and are looking for at least 50 employees. They say that they are interested in hiring students from the state’s colleges and universities. Career site. Electric Boat is celebrating the opening of a new facility where shipbuilders will start the construction of hulls for the nation’s missile nuclear submarines. They are interested in hiring people to fill their manufacturing positions, they plan to go from the amount of employees they haven now, which is 3700, to 6000 from this specific project. 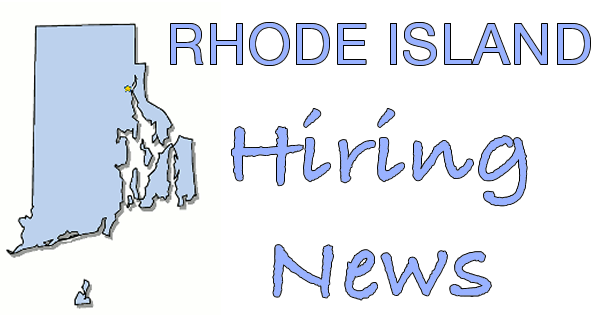 The Rhode Island Department of Transportation plans to hire 20 in Providence , Rhode Island as well, and they have 14 managment positions. There prediction is to grow from 630 to 675 employees. General Electric plans to open a digital information center to work on company’s digital and industrial interpret platforms. Their desire is to hire young professionals with backgrounds in design, data, and IT. Isle Brewers received a package of private investments and public incentives to finance the building of an 11.4 million brewery in which will be even more of a tourist attraction. They had made the prediction that their company will be up and successful by the end of 2016, and they expected to employ around 15-20. AAA is opening a new dispatch center on River Road. They want to hire between 20 and 25 roadside technicians and truck mechanics to be apart of their new facility. Virgin Pulse, a wellness tech firm, is expanding their company into Providence, Rhode Island. They are planning to hire between 120-150 within the next year, and 300 within the next three years. Johnson & Johnson is opening a new technology office in Providence , Rhode Island, which is dedicated to develop health related software. Their plans are to employ 75 people. United Natural Foods is a wholefood distributor of natural foods and wellness products. The headquarters in Providence is planning to offer more jobs after receiving their tax credit from the state. Details here.